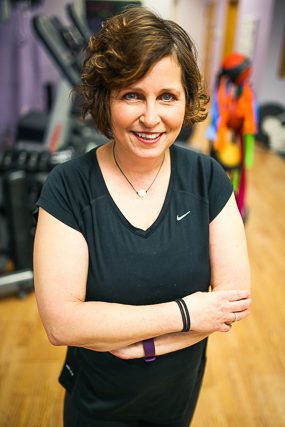 Birgit is passionate about health, wellness, fitness, and physical therapy. She graduated with a Bachelor of Nursing from the University of New Brunswick and worked as a registered nurse in acute care orthopaedics and rheumatology for several years. She then completed graduate studies in physical therapy at Dalhousie University in Halifax, Nova Scotia. She has worked in outpatient orthopaedics with patients of all ages treating patients with a variety of orthopaedic and neurologic conditions, including pre and post-op rehab, sports injuries, injuries related to motor vehicle accidents, work injuries, overuse/repetitive strain injuries, balance problems. Most recently she has focussed treatment on maintaining mobility and optimal function throughout the lifespan, treating gait and balance issues, recovery after falls and safe exercise with osteoporosis. 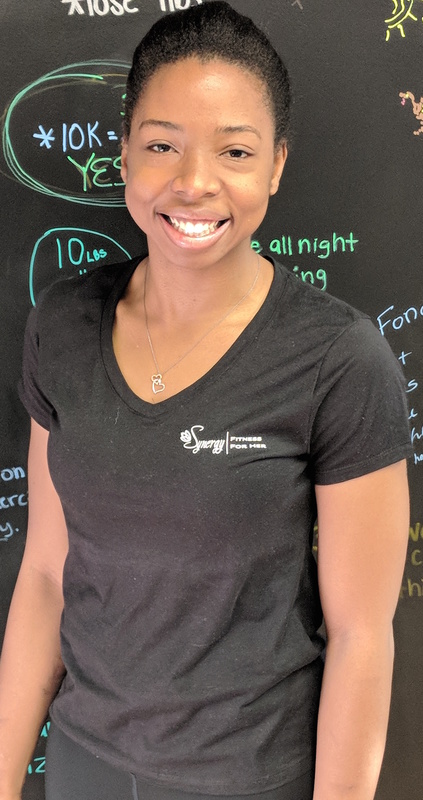 She is very excited to work at Synergy Fitness for Her to help prevent injuries and help in resolving sports injuries, movement and postural dysfunctions, pain and balance problems. Outside of work, Birgit enjoys spending time with her family and friends, and her two grandchildren, Jacob and Emma, keep her active. She loves hiking, swimming, gardening, camping, travel, reading, yoga, learning about health, fitness, food and cooking. She is pursuing a doctorate in physical therapy to continue to build her skills and better serve her patients. 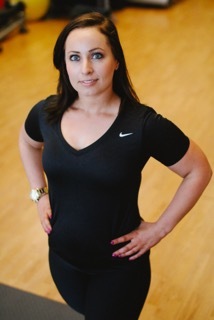 Kat is a NASM (National Academy of Sports Medicine) certified personal trainer. She received her B.S. in Biology at NCCU in Durham, N.C. and is currently working on her M.S. in Physiology at NCSU. She has experience working with a wide variety of populations in a training and nutrition counseling setting. Kat enjoys playing soccer, weight training, running with her dog Mollie, and exploring Durham. Chelse Zamorano’s passion for fitness began when she became a competitive body builder while attending Tusculum College in Tennessee. 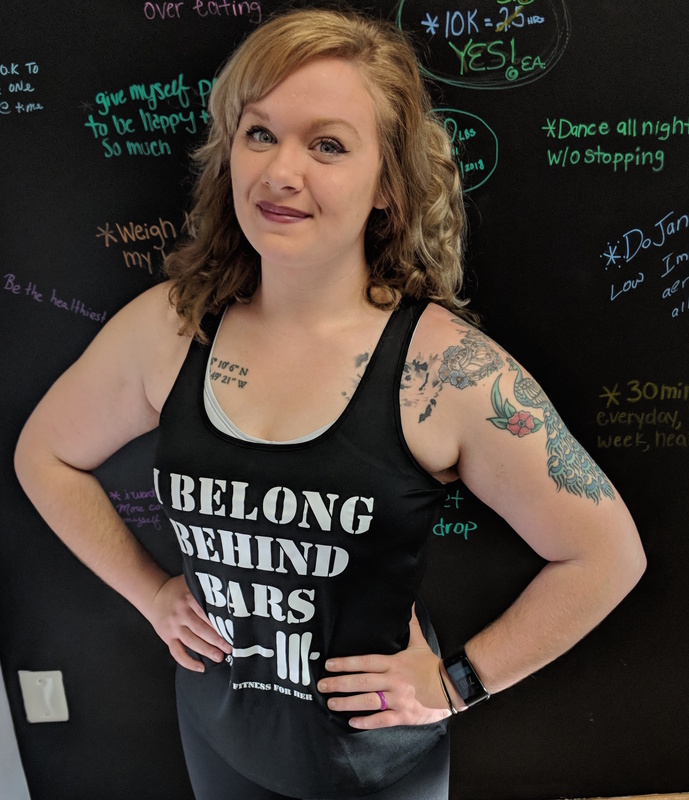 But, just two years after her move to North Carolina, in 2014, her dream of being a medal-winning competitive lifter on the global stage was shattered. She sustained a major back injury from a very serious car accident. However, the accident opened up her eyes to the need for functional fitness trainers. Fast forward to today…she now specializes in orthopedic exercises and post-orthopedic rehabilitation. She is an ACE (American Council on Exercise) Certified Personal Trainer and Orthopedic Exercise Specialist, and has an Associate’s degree in photography and graphic design. When she’s not at Synergy Fitness for Her, she runs, paints, hikes and still enjoys weight lifting and training. She has a dog named Ham, and a snake named Ducky. Chelse is so pleased to be part of the #SynergySister family, and looks forward to many more years with the club. Gabby’s passion for fitness and nutrition began from a young age, growing up in Seminole, Florida. Gabby comes to Synergy Fitness for Her from a leading women’s gym in Florida, where she worked as a trainer. 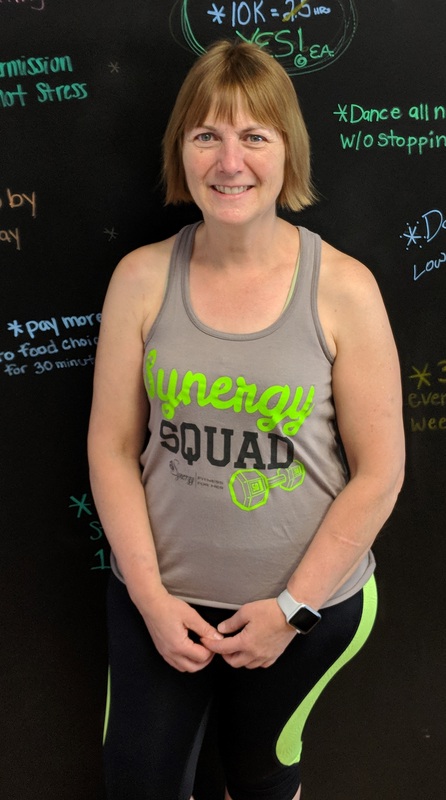 She chose Synergy because we allow our trainers to focus on each client individually so the appropriate amount of challenge is offered based on your fitness goals. In her spare time, Gabby likes to read, cook, listen to music, follow pop culture, do anything outdoors, and of course…workout! She holds a Personal Training certification from the prestigious International Sports Sciences Association (ISSA), a Bachelor’s degree in Nutrition from Florida State University and an Associate’s degree in Culinary Arts from the Culinary Institute of America. In 2015, Donna’s fitness journey began after she joined a gym and became so involved in all aspects of health and fitness, the owner of her gym convinced her to take it further. So, she earned a personal training certification from Middlesex County College in New Jersey and began teaching small group classes. Donna moved to Durham in Dec. 2017. She chose Synergy because her personal training background was in small group classes, so it was a great personal and professional fit. She also thinks functional fitness gyms are the future, because they help women realize their potential to be their “best self and live happy, healthy, fit lives”. Donna holds a Bachelor’s degree in English from the University of Buffalo, a Master’s degree in Reading from St. Johns University, and was a reading specialist/teacher for 18 years before finding her true passion.